Ondine decides to leave early from psychic summer camp with her new pet ferret, Shambles, since she feels that she doesn’t fit in the program. On the train back home, she discovers that Shambles can talk with a Scottish accent. He explains that he used to be a man called Hamish McPhee, and that he was turned into a ferret by an angry witch. 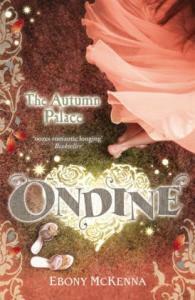 Ondine soon understands that the witch in question is her aunt Col. While Ondine tries to find a way to turn Shambles back to his human form, a plot to kill the Duke is discovered, and a lost treasure is found. 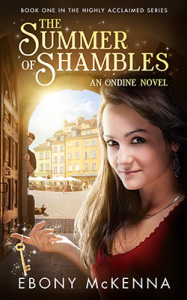 The Summer of Shambles is the first book in the Ondine series. It is an entertaining young adult romance, and the world Ebony McKenna has created is believable and interesting. 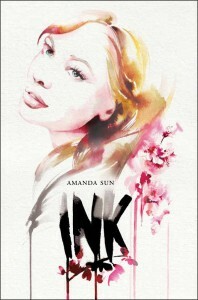 Throughout the book, the author uses fun, tongue-in-cheek footnotes that add to the story. I especially liked Hamish’s character with his playful repartee and mischievous personality. However, I thought that his vices seemed to disappear all too easily when he became human again. 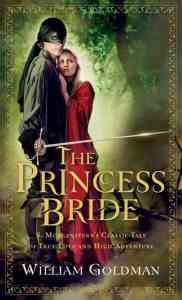 In the end, this book will appeal to teenage girls in search of adventure and romance with a sprinkle of magic. They will certainly want to read the 3 other books in the series, one book for each season. The Summer of Shambles was sent to me for free in exchange for an honest review. Fans of the series are called Ondine’s Army. Like Ondine, Ebony McKenna worked at her family’s restaurant when she was a teenager. Before the Ondine series, Ebony McKenna wrote 3 science-fiction books and 3 romance novels but they were never published. Brugel, the Eastern European country Ondine lives in, is a fictional place. About the author and her work: Ebony McKenna’s Website.